How many new jackets do you have coming (and how many potential ones)? Discussion in 'Outerwear' started by red devil, Feb 12, 2017. My new custom Wested just shipped. Man, that was fast turnaround. And i just finished installing a new rail in my bathroom to make some room. My couch is once again free of jackets, but these two new ones won't have anywhere to live when they arrive. tmitchell59, Gamma68, sweetfights and 15 others like this. Really looking forward to the LW review! Wonder how you'll compare it to other brands. 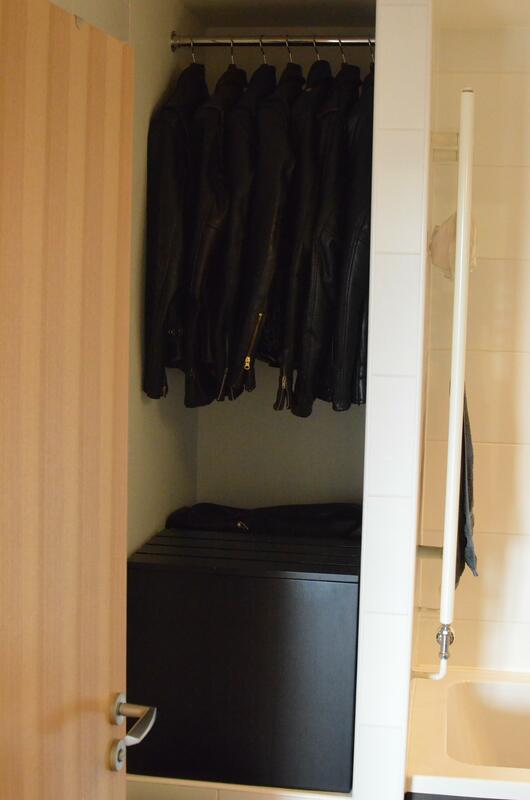 As for the jackets hanging in a bathroom... You sure steam is good for leather? You know how damp towels get inside bathroom and all. Yeah, me too! I am planning on doing an evo thread as i break it in, with weekly picture update, starting on day 0 straight out of the box. It should be interesting, i am really curious as to how hard the break in actually will be. I'm not worried about the bathroom, it is never used. It is basically a guest bathroom. roadking04 and Monitor like this. Can't wait for the fit pics! What would you get first San Mateo or Centinela? Why did you even have to remind me of the Centinela? I would go San Mateo without a doubt. Although i would like a J-31/Centinela at some point, the Himel Chevalier is close enough for the moment. tmitchell59, navetsea, dannyk and 10 others like this. That will be spectacular as well! After having my first Thedi jacket for awhile now, I've come to the conclusion that this style suits my tastes. 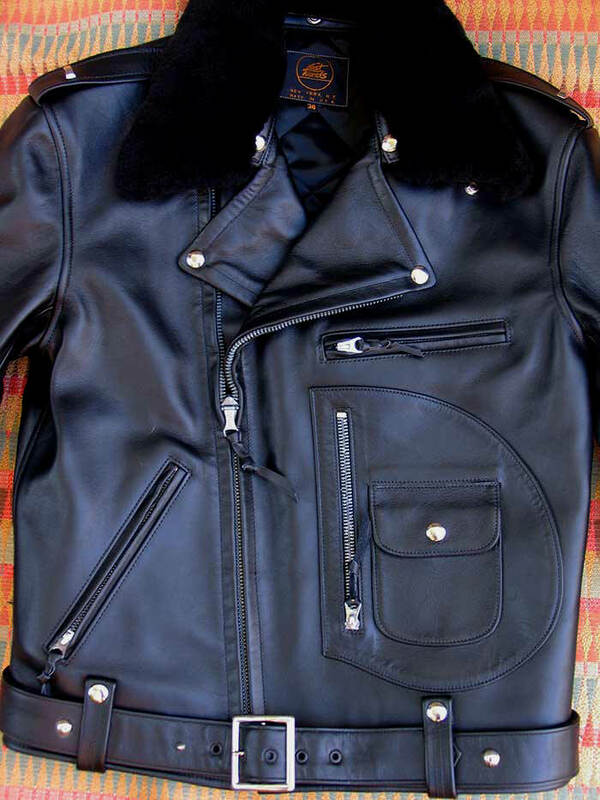 I favor their buffalo leather, finish and how easy this jacket design is to wear for me. Carrie sent me a swatch of the grey buffalo. It isn't near as dark or blackish as these pics but more of a grey. I like. red devil, AbbaDatDeHat, El Marro and 1 other person like this. That sounds really cool. Can’t wait to see it. A gray cross zip is the stuff of legend. 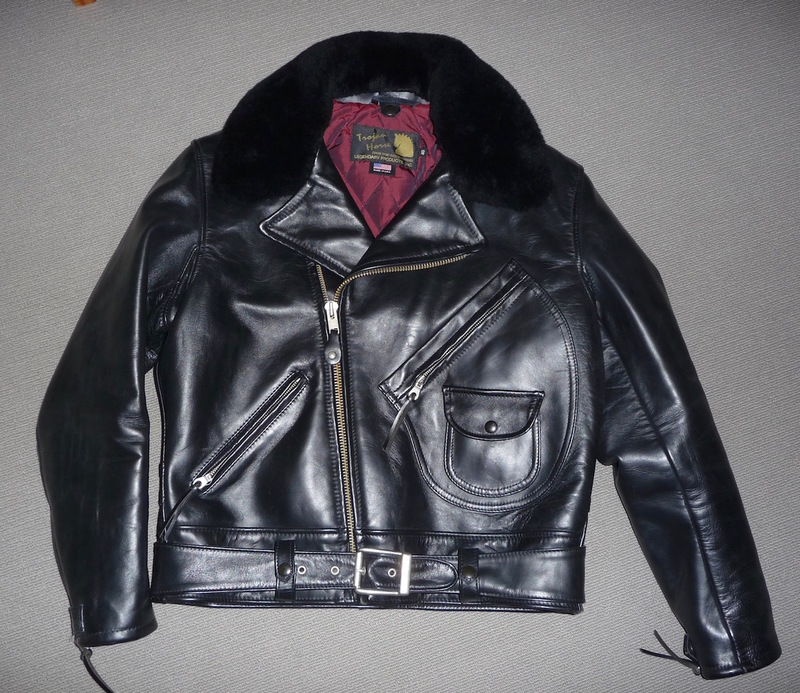 I also received that Ciano Farmer type III jacket with the horse blanket lining, a la Storm Rider style. That thing is a tank and I have been wearing it quite a bit the last two weeks as temperatures have dropped here in Northern California (although anyone east of the Rockies is going to burst out laughing when they hear what we consider a cold day out here). I am actually considering reaching out to Ciano and seeing if he can build me a Storm Rider replica with the blanket lining and corduroy collar. I complemented you when you started this thread red devil, and I have to complement you again for starting a recap Very cool. Like many here, I usually find the hunt is better than the kill. I own some very nice jackets already, but I may not be satisfied until I own them all! This is still very true for you? sweetfights, HoosierDaddy, navetsea and 5 others like this. Looks somewhat 'pre-distressed', like a well-aged finish on a jacket where the black dye goes all the way through, as distinct from the brown undertones with a teacore. I much prefer this over teacore, personally: I like black that stays black rather than turns brown. sweetfights and navetsea like this. Okay so the cordovan Highwayman has been put on hold, instead I've jumped on the wagon for a black fleece Irvin from Aero, I can't wait! Edward, ProteinNerd, Lebowski and 5 others like this. They do that??? Any pics? Forgot to mention that I saw that jacket at the shop, and indeed it is a lighter shade of grey than how it looks on the picture. I had been resisting the urge to get it as I already had the tan version. But getting a zip version... that is a great idea! Looking forward to see your fit pics! I heard the rumors on VLJ, but I didn't think the black fleece was available. Please keep us posted, as this combination will be stunning. Not of the actual jacket, I don't think Aero have got the hides yet.